Top Rated Local® is pleased to announce that Advanced Dental Professionals is a 2019 award winner for dentists in South Dakota! 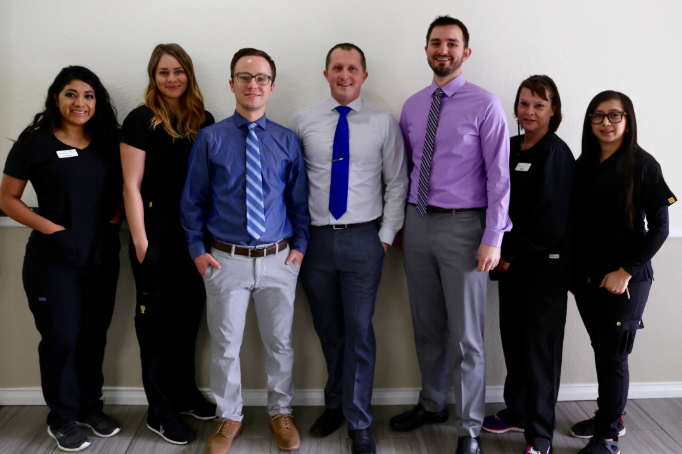 Whether you’re looking for teeth whitening or a routine dental cleaning, Advanced Dental Professionals in Rapid City has what it takes to meet your needs. Advanced Dental Professionals has received hundreds of reviews on four verified sites with an average rating of 4.90 stars, earning them a spectacular Rating Score™ of 98.02 and two 2019 Top Rated Local awards — one for ranking among the top 100 businesses and one for ranking among the top 10 dentists in all of South Dakota! “The staff at Advanced Dental Professionals is wonderful. As the name implies, every person there is a true professional. From the front desk to the unseen back office, the quality of work proves the professionalism and skill of the staff. Dr. Studer is skilled, friendly, patient, quick, helpful and understanding. My wife and I schedule our cleaning appointments back-to-back to save time and driving. We always get in and out in a timely manner. We are without dental insurance, but that doesn’t stop them from providing quality work for us.” – Doug R.
Niki Studer, Marketing and Office Manager and wife of Dr. Studer, generously gave us a few minutes of her time to tell us about Advanced Dental Professionals and its award-winning online reputation. We also wanted to know what their mission is at Advanced Dental Professionals and how they work to make the world a better place. Niki shared with us that their goal is to treat patients and educate them on not just oral health, but on their overall health and how oral health relates to it. Niki attributes Advanced Dental Professionals’ strong online reputation to the fact that they pay close attention and they manage and monitor their patients’ health closely. This gives the staff at Advanced Dental Professionals the confidence to ask for reviews. Outside of building a powerful online reputation, Advanced Dental Professionals has gotten their name out there by connecting with their Facebook followers, by having an in-house marketing team, through brand advertising on the radio, on TV and in print, and finally, by sponsoring kids’ sports and events. Congratulations to the team at Advanced Dental Professionals for being a 2019 Top Rated Local award winner, and thank you so much, Niki, for taking the time to speak with us! We highly recommend Advanced Dental Professionals in Rapid City. Visit their website today! Top Rated Local® is pleased to announce that Carpenter Dental is not only one of the top five dentists in South Dakota, but one of the top 15 businesses in the state overall! “It’s always a great experience working with Dr. Carpenter and his staff! They are always accommodating and friendly. Dr. Carpenter is an amazing dentist and truly cares about all his patients. My children always feel safe and cared for, and I appreciate that. I highly recommend [him]!” -Christine A.
That’s just one of the more than 100 reviews that have earned Carpenter Dental a 98.84 Rating Score™, a 4.98 average star rating, and a 2019 Top Rated Local award winner! Chris Teeslink, the office manager of Carpenter Dental, took some time to speak with us about the business’ impressive online reputation. 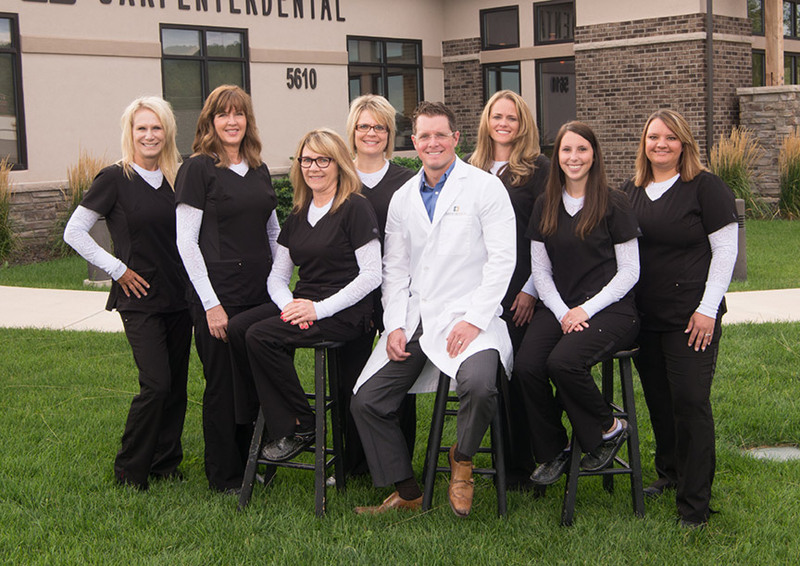 Congratulations to the team at Carpenter Dental for being a 2019 Top Rated Local award winner, and thank you so much, Chris, for taking the time to speak with us! Top Rated Local® is pleased to announce that Sensational Smiles is an award winner for dentists in 2019. If you are looking for a dentist that will care for you like family, look no further than this award-winning company! Sensational Smiles has received many overwhelmingly positive reviews across five different verified sites with an average rating of 4.83 stars, earning them an impressive Rating Score™ of 98.30 and two 2019 Top Rated Local award for ranking as one of the top 10 businesses and top three dentists in all of South Dakota! “They are always friendly and welcoming. They consistently do a wonderful job, regardless of which staff member I see. I’ve been going there since I was six, and I now take my son there, too. He was three years old at his first appointment and had such a positive experience that he asks to go back, and [he] loves his checkups!” – T.W. It is because of excellent reviews like this that Sensational Smiles is now able to call themselves a Top Rated Local award winner! We were excited to learn all about how Sensational Smiles has been able to build such an impressive reputation, so we sat down with Dr. Adam Swingdorf. Dr. Swingdorf connected this ideal with the company’s mission as a whole, which he describes as focusing on relationships, and on building long-lasting relationships to continue to serve the community. Sensational Smiles has certainly managed to establish an excellent reputation. We wanted to know more about how they have marketed themselves over the years. We learned that while they do have a social media presence, they still believe that their following is based on the relationships they have formed with their patients. They see social media as an opportunity to connect with their community. Congratulations to Sensational Smiles for being a 2019 Top Rated Local award winner, and special thanks to Dr. Swingdorf for taking the time to speak with us! Top Rated Local® is pleased to announce that Key Dental Group is an award winner for dentists in 2019. If you are looking for a dentist who will offer quality and comfort, look no further than this award-winning company! Key Dental Group has received many thousands of overwhelmingly positive reviews across four different verified sites with an average rating of 4.91 stars, earning them an impressive Rating Score™ of 97.13 and two 2019 Top Rated Local award for ranking as one of the top 50 businesses and one of the top 10 dentists in Mississippi! “[I had an] awesome experience! The staff was exceptional. I think it is one of the best dental offices in Madison. I read the reviews before I went and I totally agree with the five-star ratings. As a patient, I felt so appreciated. I am excited and relaxed about my next appointment. If you are looking for a dentist, I encourage you to give Key Dental a try. I truly believe you will not be disappointed.” -A.G. It is because of excellent reviews like this that Key Dental Group is now able to call themselves a Top Rated Local award winner! Robin shared with us that Key Dental Group is committed to putting their patients first and focusing on their experience above all else. Robin shared with us that Key Dental Group relies on word of mouth referrals to market their business, which ties back to their dedication to offering each patient a wonderful experience. “[I] had my first visit yesterday, [it was a] wonderful experience. [They offered] full-service dental care. [They] were extremely nice and well informed of my needs. [They had] up-to-date modern equipment. [The] dental chair was heated and was a massage chair. [They] took a lot of time with me. [I] strongly recommend this clinic in Madison.” – S.M. 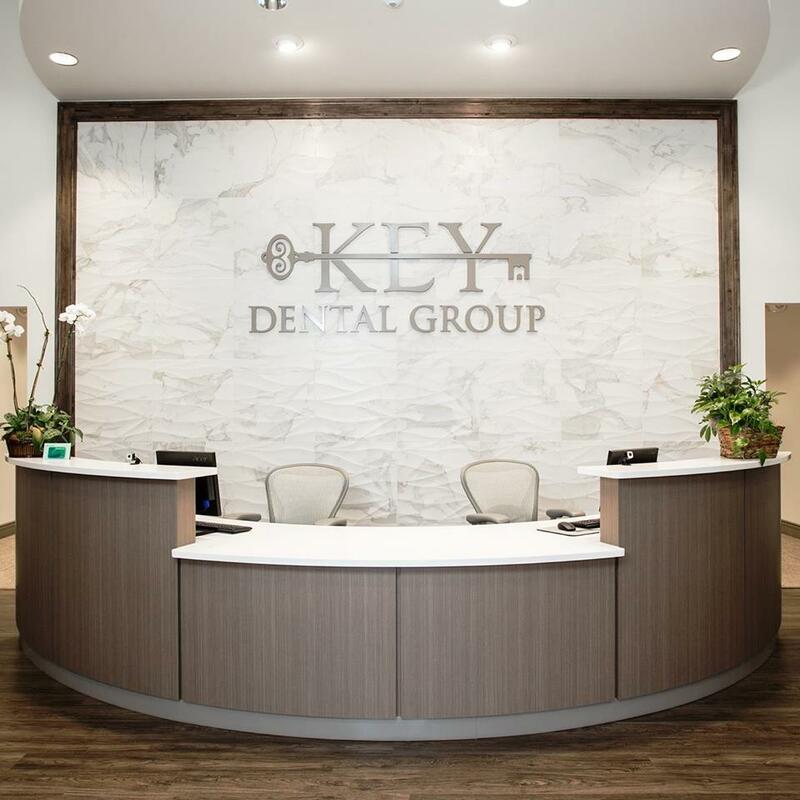 Congratulations to Key Dental Group for being a 2019 Top Rated Local award winner, and special thanks to Robin for taking the time to speak with us! 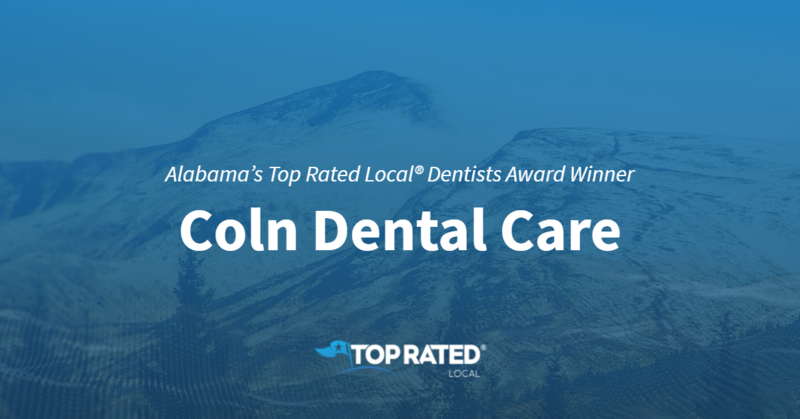 Top Rated Local® is pleased to announce that Maple Family Dental is an award winner for dentists in 2019. If you are looking for a dentist who cares about the community and offers top-of-the-line dental care, look no further than this award-winning company! 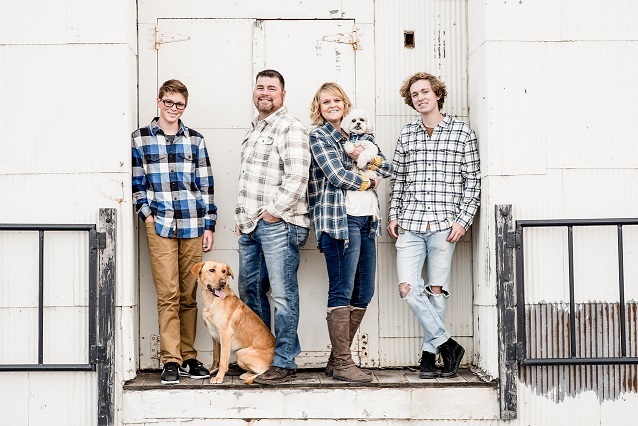 Maple Family Dental has received many overwhelmingly positive reviews across four different verified sites with an average rating of 5.00 stars, earning them an impressive Rating Score™ of 98.00 and two 2019 Top Rated Local award for ranking as one of the top 10 businesses and the number one dentist in North Dakota! “Maple Family Dental made me feel comfortable, listened to my concerns, explained thoroughly my options for services, and did not pressure me to have a procedure done. I did not feel judged, and they were all very friendly. [They were] amazing at making me feel calm and explaining the process and options to me. I would highly recommend Maple Family Dental.” – S.G. It is because of excellent reviews like this that Maple Family Dental is now able to call themselves a Top Rated Local award winner! We were excited to learn all about how Maple Family Dental has been able to build such an impressive reputation, so we sat down with the Oral Health Advisor, Tara Bultema. The first thing we wanted to know was what it is that makes Maple Family Dental stand apart from their local competitors. Tara shared with us that Maple Family Dental tries to always work towards their goal of caring about the dental needs of, not just the person, but the whole family. They are very active in the community and want to treat their patients like a part of a family. Maple Family Dental has found success through positive reviews and referrals. Facebook has been a great resource for them, and they are excited about the way Facebook allows people within the community to see what’s happening in the practice. Maple Family Dental believes it is important to positively impact the community and has done so by reaching out to schools to give support to children that may not be able to easily access dental care. Congratulations to Maple Family Dental for being a 2019 Top Rated Local award winner, and special thanks to Tara for taking the time to speak with us! 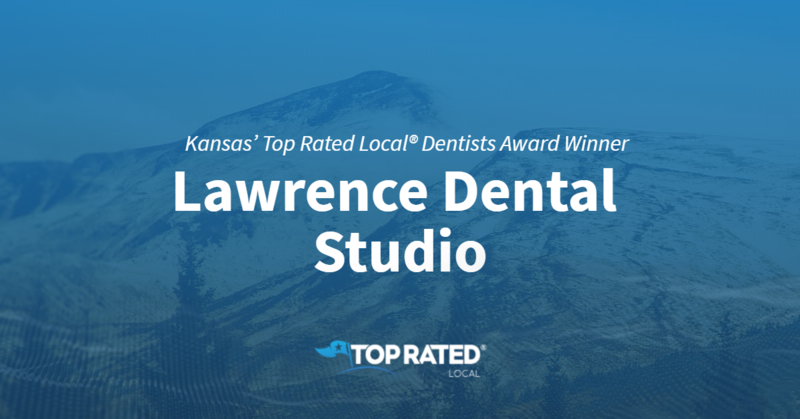 Top Rated Local® is pleased to announce that Lawrence Dental Studio is an award winner for dentists in 2019. If you are looking for a dentist who is dedicated to customer service, look no further than this award-winning company! Lawrence Dental Studio has received many overwhelmingly positive reviews across five different verified sites with an average rating of 4.91 stars, earning them an impressive Rating Score™ of 99.10 and two 2019 Top Rated Local award for ranking as one of the top 50 businesses and one of the top 10 dentists in all of Kansas! “Upon walking in, the office seems more like a spa than a dental clinic. The staff takes many measures to make sure that you are comfortable, even applying lip balm during your exam to make sure that your lips don’t crack! [The dentist] explained everything that he was doing as he went along. He addressed all of my concerns and provided incredibly personalized care. I look forward to [them] helping me maintain my smile for many years to come!” – A.G. It is because of excellent reviews like this that Lawrence Dental Studio is now able to call themselves a Top Rated Local award winner! We were excited to learn all about how Lawrence Dental Studio has been able to build such an impressive reputation, so we sat down with the owner/ Head Dentist, Nick Salava. The first thing we wanted to know was what it is that makes Lawrence Dental Studio stand apart from their local competitors. Nick shared with us that his team is the reason everything comes together. He says that they gather the most information they can to give the best result for the client. He also shared that he believes it is his attention to detail that makes his practice stand out from the crowd. Nick shared with us that the business’ mission is to be able to provide top-notch dentistry, to stay on top of the game in terms of technology, and to spread the knowledge that systemic health is related to oral health. Lawrence Dental Studio prides themselves on being excellent listeners and providing a comfortable environment for their patients. As the reviews indicate, their dedication to exceptional customer service has been noticed. In addition to their stellar online reviews, Lawrence Dental Studio has also marketed themselves through Facebook and local postcards. Congratulations to Lawrence Dental Studio for being a 2019 Top Rated Local award winner, and special thanks to Nick for taking the time to speak with us! 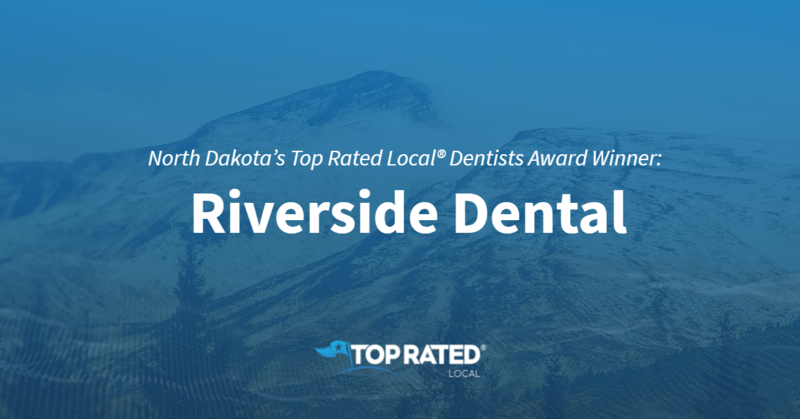 Top Rated Local® is pleased to announce that Riverside Dental is a 2019 award winner for dentists in North Dakota! If you are in the Grand Forks area and need to visit a top flight dentist, look no further than Riverside Dental. Riverside Dental has over 20 reviews on three verified sites with an average star rating of 5.00 earning them an enviable Rating Score™ of 96.00 and a 2019 Top Rated Local award for being one of the top 10 dentists in the state of North Dakota. “Dr. Vesterso and her staff were so kind and accommodating and got me in right away for what I thought was a tooth problem, but turned out to be a sinus infection. I also had a scheduled crown done. It really was a great experience – which is not something you’d typically say about a dental procedure! I was very impressed!” – Nicki O. We took a few minutes to speak with Jill, business manager of Riverside Dental, to find out more about the business and how they have built such an incredible online reputation. We also wanted to find out what is the mission of Riverside Dental and how they feel like they make their community a better place. Jill explained that their entire team is dedicated to improving oral health in the community. They want to increase each patient’s level of confidence and allow them to be as comfortable as possible during their visit. Congratulations to the team at Riverside Dental for being a 2019 Top Rated Local award winner, and thank you so much, Jill, for taking the time to speak with us! Learn more about this business online today. Top Rated Local® is pleased to announce that Polished Dental is an award winner for dentists in 2019. If you are looking for an excellent local dentist with years of experience and hundreds of positive reviews, look no further than this award-winning company! Polished Dental has received hundreds of overwhelmingly positive reviews across four different verified sites with an average rating of 4.99 stars, earning them an impressive Rating Score™ of 98.91 and two 2019 Top Rated Local awards for ranking as one of the top three dentists and one of the top 15 businesses in all of North Dakota! “I can’t say enough great things about this office! We love them, including the warm greeting when we enter, the friendly hygienists and the doctors. [They] are all ready to help you get the best smile possible! They will answerany questions and never leave you feeling hurried! We love you polished Dental Staff! Thanks for helping Bismarck smile big!” – Nickie B. It is because of excellent reviews like this that Polished Dental is now able to call themselves a Top Rated Local award winner! We were excited to learn all about how Polished Dental has been able to build such an impressive reputation, so we sat down with the manager, Dawn. The first thing we wanted to know was what it is that makes Polished Dental stand apart from their local competitors. Dawn shared that at Polished Dental, the clients are treated like family. As a business that has been operating for 30 years (four as Polished Dental), they know the importance of having a genuine staff. In addition to excellent customer reviews and word-of-mouth referrals, Polished Dental has also marketed their business through the use of Facebook ads, local magazines, phone books, and, at one point, they had even distributed flyers. Congratulations to Polished Dental for being a 2019 Top Rated Local award winner, and special thanks to Dawn for taking the time to speak with us!